Promoting yourself wins hands down. – how the crowd gets to finally decide whether your blog is good. Darren Rowse has one called, How to write great blog content. Do great ingredients or the perfect kitchen automatically make you a great cook? Unlikely. By the same token, Michael Porter states that content alone makes neither a good corporate strategy nor a great corporate blog. Incidentally, this entry was inspired by Grayson Perry (download his 2013 BBC Reith Lectures, titled Playing to the Gallery as a podcast – GREAT stuff), and his claim that, democracy has bad taste. Nevertheless, Grayson Perry would surely agree that if you want to be famous, you must be able to master democracy to become what is called a good blogger. Subscribe to our newsletter about Social media strategy, trendwatch, monitoring and KPIs like over 5,000 other readers! I am a former full-time academic turned CEO, and my company develops and sells benchmarking software for bloggers. So, what do I think about all this? Find out below. You need to reach out to fellow bloggers and they need to take you seriously. Of course, the bigger the country, the more challenging this might be (i.e. whom should I reach out to?). It may be better to ensure they know about your blog, and that they find it contains serious stuff that is highly useful, arty or even way out of this world. 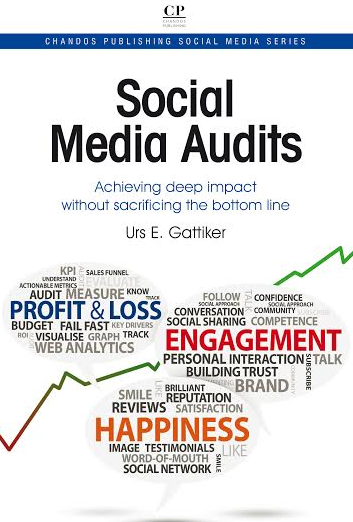 Considering that my expertise is in management, strategy, social media and measurement, using the label DrKPI comes in handy. I have been called a social media bloggers’ blogger. Of course that is lovely praise, but after such praise one must also acquire the support of serious critics. I can remember the worst review of one of my books said, Don’t buy it… Yes, bad press is better than none. Nevertheless, it helps if an academic cites your blog post in their work or list of references students should read. Having a shingle at a university (e.g., being a guest lecturer, teaching a course once a week) helps your credibility as a blogger in a particular domain, such as quantum physics or social media marketing. Using Perry’s train of thought, another validating character for your blog and personal brand is the famous blogger. If you want credibility in the US, Jeremiah Owyang (social media strategist) is one example. Of course, that will not hurt your standing in Europe either. 4. Get hosted at TED, Republica, etc. Okay, so your EICAR conference will not cut it. Maybe if you do a presentation at this year’s annual meeting at the US Academy of Management? You might even luck out and your research might be featured – or at least mentioned – in one of the upcoming issues of The Economist. But trust me, that is a very, very long shot. So where does that leave us? Well, the only way is to get invited to a major conference to strut your stuff. Of course, what you have to say is important, but usually not the deciding factor for getting an invite. The conference organisers must agree that you are ‘good’ (e.g., they have seen you perform very well at a smaller event a few months back – yes, it could be a BarCamp), or you have been recommended to them by another famous presenter to fill an open slot. Bottom line: Work your way up – this will again increase your blog’s traffic from interested readers. In the art world, Grayson Perry calls this group the famous dealers. If they purchase your work, great. By the same token, if journalists find your work interesting, they are more likely to mention your name or call you for a quote. Of course, you may get interviewed on TV and/or in a major daily, etc. The result is more invites to give talks at more conferences. If you have published a few books, you are off to a good start. But don’t let it go to your head. Most journalists have written several books themselves, and are therefore unlikely to be awed. They know about writer’s block. Based on the five points above, you just ensure that fellow bloggers love what you do, get the critics on your side, and get some famous bloggers to love your stuff, then become a presenter at a major conference, and finally, get the media to write about your stuff. Easy, right? In addition, remember that in some cultures one does not strut one’s stuff as much as in others. Ultimately, however, it is the customer that matters. So if your client who is an upper-level manager fails to care about your blog, white paper or presentation given at TED or TEDx, was it worth your time? 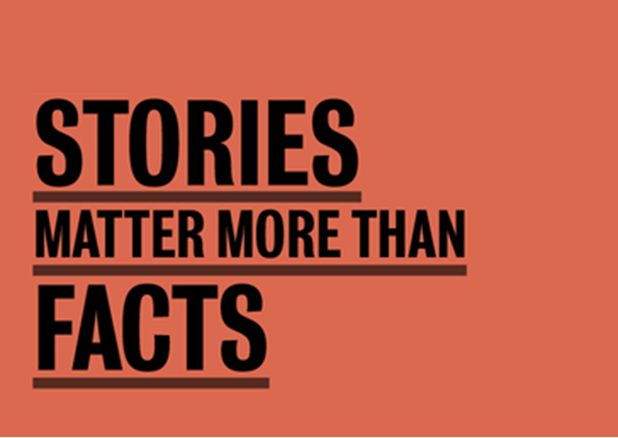 Focus your blog on content that helps your clients solve issues that matter to them. Share insights with your readers that help make them use a tool smarter or their lives more productive. All this helps pay your staff’s at the end of the month. Being ‘famous’ and considered an ‘expert’ while getting ignored by your clients does not pay the rent. It might get you hired to give a speech, but not sell your power turbine. What is your opinion? Please share your insights, questions, favorite reports, and feedback via comments below. Have presentations at conferences increased your visibility? Have conferences helped YOUR sales? 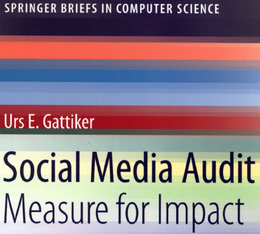 His latest book, Social Media Audit: Measure for Impact, appeared 2013 by Springer Science Publishers. 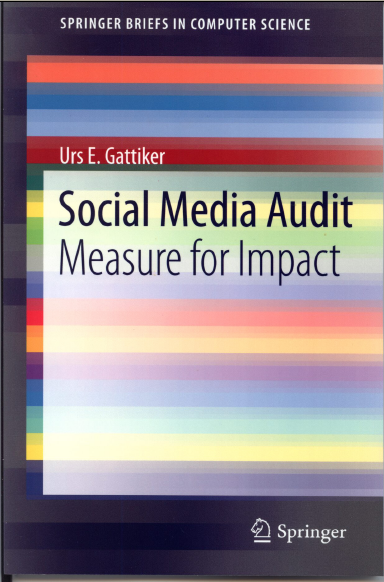 His latest book about social media fashion with passion will appear in early 2014. Next post: Big data: The latest fad?